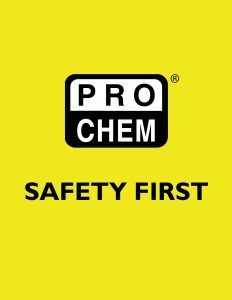 FACE SHIELD COMBO | Pro Chem, Inc.
FACE SHIELD COMBO #4644 is ideal for construction, water departments, grinding, you name it. If the application calls for a face shield, this is the one: the coolest, best-fitting, most fog-free product on the market. 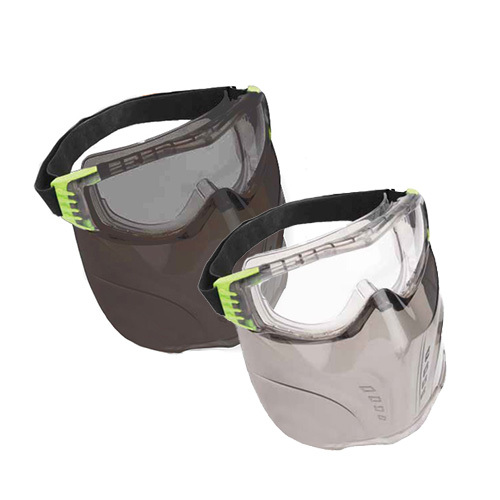 Since the impact shield is integral to the to the ANSI-rated splash goggle, the shield goes where your head goes — unlike other configurations in which the face shield attaches to the hard hat, causing the shield to bump the chin when looking down. 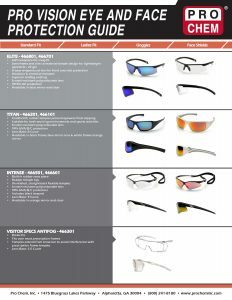 FACE SHIELD COMBO #4644 lenses are made of polycarbonate that provides 99.9% UVA/UVB/UVC protection to help prevent eye damage. The low-profile curved face shield design conforms to the shape of the face, providing compact protection (9.5 x 10.5 x 9.1 inches). At a mere 9.6 ounces, The FACE SHIELD COMBO is easy to work in — and light enough to play in.